February might seem like the month of red dresses and red jewelry. However, the birthstone is actually purple. 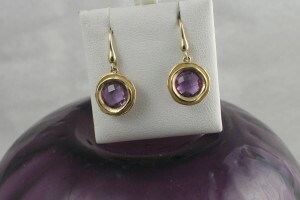 The Amethyst will range from a very light purple or lavender through the spectrum to dark purple. The deeper the color of purple the higher the value of the gem stone. 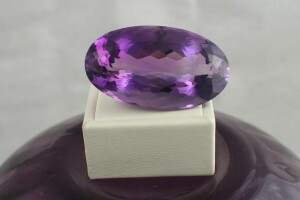 One really unique thing that Amethysts are known for is what is called "color zoning". If you look into an amethyst that is light enough to see into you will see angular areas or zones of darker to lighter purple. The amethyst was thought to help one think clearly and be more quick witted. It is because of this that it was often found in royal jewelry and jewelry worn by the clergy. Furthermore, it was also said to help stave off drunkenness. Again, never actually spoken to someone that these redeeming qualities were proven. 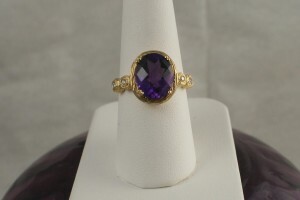 But I will say it is one of the prettiest gem stones to chose from. So, you February babies should be sure to have this gem in your collection.